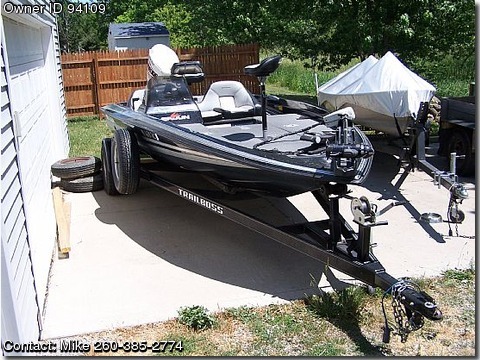 Call Boat Owner Mike 260-385-2774. ETech 150- salt water motor. Boat is in very good condition. Lowrance M68C. 2 Props and a cover.3 New Batteries. Onboard 2 Bank Charger. 2 Anchors. Trailer has new tires and electric brakes.